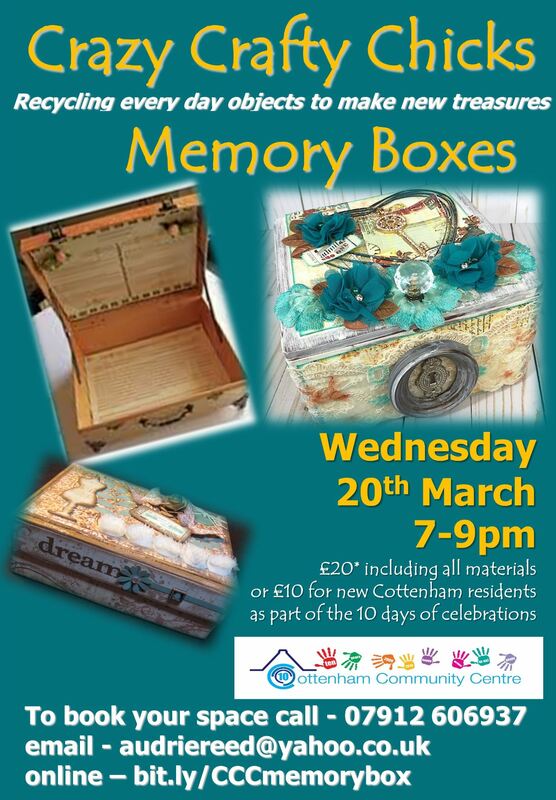 Crazy Crafty Chicks – Memory Boxes. Wednesday 20th March 2019, 7.00 to 9.00pm. Cost: £20, to include all materials. Half-price for new Cottenham residents. Part of our 10th anniversary, 10-day celebration.